Video imaging techniques historically, have been a battle of compromise between quality and price point but the prosumer digital video market is finally showing signs of bargaining power. In terms of image quality, raw offers unparalleled advantages because you are capturing sensor data rather than the video stream it produces, however, turnaround time or budget typically demand a more pragmatic approach to shooting. So how do you navigate your quality options offered in this extremely convoluted digital process, ravaged by misinformation? It’s one part trial, one part error, and an undetermined amount of personal preference. Me? I shoot log. Log Details, provided by their manufacturer. Ranging from a picture profile to an actual shooting mode from one manufacturer to the next, log refers to a number of proprietary video recording options that improve the latitude and dynamic range of a digital camera. By converting linear data into a gamma curve, log captures a video stream that aims to replicate a raw capture of the highlight and mid-tone response from a camera sensor for exposure and color management. These algorithms skip some of the in-camera video processing steps to reduce or completely lock out certain luma and chroma details within a compressed file. In simpler terms, shooting in log offers a post-production flexibility similar to Raw, but in a much smaller file size. The shooting style is not a shortcut by any means, but it does create a flat, more workable color matrix, taking the creative control from the camera and giving it to the editor. For those new to log, it can be hard to trust that the desaturated footage seen on the live view could actually be useable. I’ve spent a number of shoots defending my creative decisions because the playback footage appeared to be sub par and the client couldn’t envision the final product. Fortunately, camera, recorder, and monitor manufacturers have developed a workaround called a lut, short for lookup table. The lut works like an image overlay that calibrates the color space or bit depth of the viewable, live image without baking the information into the actual video file. While a lut does not replace color correction, it is a useful tool for anyone wanting to see what the deliverable footage should look like once color corrected, while still on set. Log is not necessarily appropriate for all video occasions. It isn’t something that is widely seen in sporting events or other types of live situations. Learning to calibrate the colors of a digital image can be time-consuming and requires some software and monitoring solutions. Those willing to learn the trade, however, will see an immediate boost to their bank. Colorists and Digital Imaging Technicians can account for a large chunk of a production’s budget. As software becomes less expensive and log more common, the need for these dedicated roles is reduced. With a little patience, practice, and a well-calibrated monitor, any videographer can create stunning cinematic, digital images, even on an entry-level budget. Can I Shoot Log on my DSLR or Mirrorless System? Once exclusive to high-end camcorders, log is quickly becoming a standard for more affordable DSLR and Mirrorless systems; but are all of these color gamuts created equally? 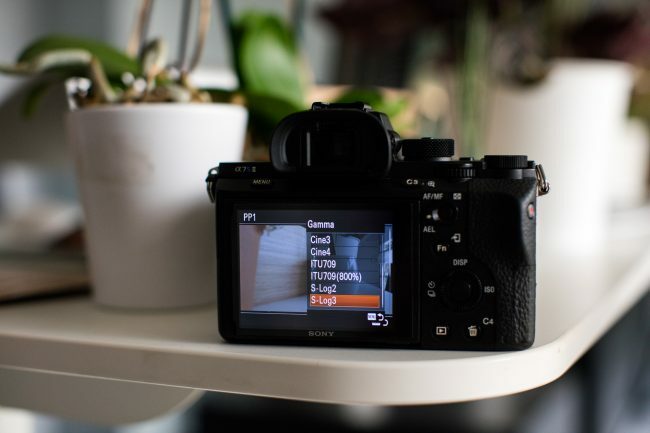 From price point to overall utility, I tested three of the top digital camera manufacturer’s flagships side-by-side to help shooters determine which camera system might be right for his or her next shoot. 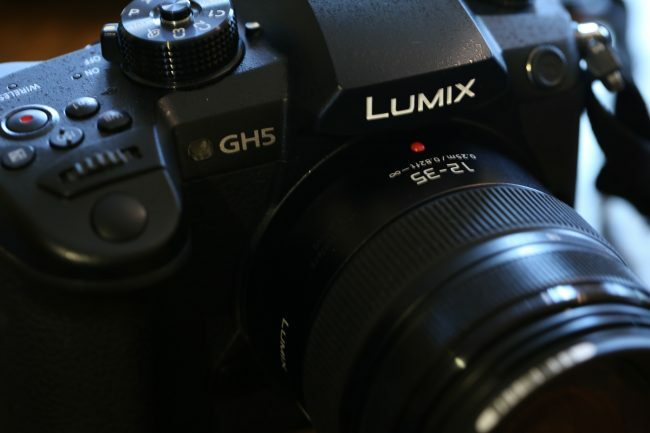 I’ve been a long time admirer of Panasonic, specifically, for the video interest technology they build into their mirrorless system cameras. While I generally prefer to shoot with a full frame sensor, Panasonic has clearly defined their target market and deliver professional image quality on an unprecedented price tier. The Panasonic GH5 with V-Log, with a current MSRP falling just under $2100, is the most affordable option on my list. Calling it a V-Log upgrade is a bit of a misnomer, as it implies that true V-Log, the Varicam gamma response, is available for shooting. Unfortunately, there just isn’t enough camera to pack in that much technology. Like the GH4, the GH5 is upgraded to V-Log L, which is short for Variam Log Lite. To engage V-Log, you’ll need to navigate through the not-so-clearly stated submenu of “Photo Style.” After advancing through a few built-in gamma profiles, you will finally find “V-Log L.” Selecting V-Log L will automatically lock out any adjustment options for the master pedestal, contrast, hue, and saturation, as the algorithm bypasses most of the in-camera image processing. The new gamma curve gives you a locked neutral image, protecting the user from making changes that could compromise the quality of the overall footage. 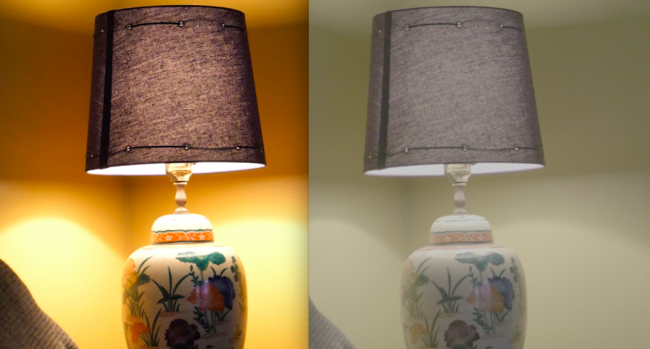 The image on the left represents standard camera processing from the GH5. The image on the right is the pre calibrated image using log. When shooting in V-Log L the camera’s dynamic range is expanded to 12 stops over the standard 10. This dynamic range expansion does not come without challenges. When shooting internally, it is important to maintain proper exposure to avoid instances of banding or digital artifacts that can result from sensor limitations when paired with a log technology designed as a more expansive recording option on a much larger camera. GH4 users occasionally reported such complications but I was unable to recreate them with the Panasonic GH5. Improved recording capability may have circumvented these issues but I wouldn’t rule out the occurrence possibility in some settings. At any rate, Panasonic seems to be aware of these complaints and rather than amending V-Log L, they appear to be rising to the occasion, improving in-camera reliability. The only camera on my list that doesn’t require an upgrade to enjoy the benefits of log technology, the Sony A7sII is a powerhouse camera with a mere $2499.99 MSRP. When Sony introduced their highly revered S-log recording option to the A7 camera line, it substantially changed the digital camera market. Offering a gratuitous recording option to a camera at a semi-professional price point was enough to launch Sony into a new echelon of respect and profit from videographers, leaving most major manufacturers arduously trying to figure out how to compete. Like the Panasonic GH5’s V-Log L, Sony log is activated by applying a picture profile. Sony gives the user more choices for gamma curve preferences than Panasonic by way of S-Log2 and S-Log3. There are subtle differences between the two but S-Log3 is generally regarded as the most neutral of the two and offers an additional “cine” gamut option. Many shooters new to S-Log may notice an unusually high level of noise in their footage. Sony recommends overexposing your shot by as much as one to two full stops to fully capitalize on the color science. 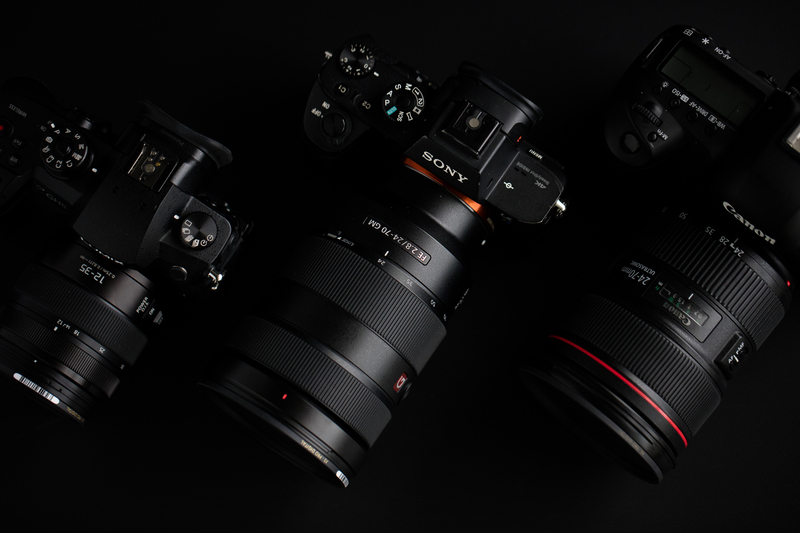 Sony’s Log profiles are easily the most complicated among the cameras I tested and are clearly intended for higher-end video work when compared to the Panasonic GH5 and Canon 5D IV. With so much image control taken away from the camera, the operator and editor are expected to process the footage in a way that may supersede the experience or interest of a semi-professional shooter. Pre-shooting tests are highly recommended as the sensor data translates skin tones in a way unique to Sony. The expanded dynamic range treats subtle highlight details differently at different stops with the first five stops generally considered to be where the magic happens. The color space has a tendency to err on the side of unnatural hues for skin-tones but the curves allow for some of the most workable footage in terms of matching to other cameras, even models made by competing manufacturers. S-Log comes with more commitment requirements if a shooter truly wants to master the craft but for the price point, it captures an image comparable to high-performing camcorders with much steeper price points. The center image represents standard in-camera processing. The image to the left was shot using S-Log2. The information is still pretty clear but much of the chroma information has been removed. The image on the right was shot using S-Log3, which maps the chroma and luma information uniquely, resulting in an extremely flat image. The Canon 5D Mark IV with C-Log with a current MSRP of approximately $3399 is the most expensive camera on my list and the one I was the least familiar with when I began researching this project. Due to the strength of Canon’s existing color science in DSLRs, I have never been completely convinced that cameras like the Canon 1D C and 5D Mark IV really need to be able to shoot log. Advertised by Canon as a profile that can create a “cinematic look similar to what can be achieved with Cinema EOS Cameras” and promised as the perfect “B” camera to the more video capable Canon C300 Mark II and Canon C700, I was a little underwhelmed by the light version of C-Log. The image on the left was shot using Canon’s standard color space. The image on the right was shot using log with a strength value of 5. Only available when shooting in manual mode, setting up to shoot in C-Log is a simple and straightforward process. Once log is active, an operator is given the option of incrementally tweaking the strength, saturation, and hue of the curve but the 5D IV does not offer the extensive customization options found in camcorders like the Canon C300 Mark II or Canon C700. A lut is engaged in tandem with the gamma curve change as a “view assist.” This reverts the onboard live view display’s image into a visual representation of a broadcast standard, BT.709 calibration. C-Log in the Canon 5D Mark IV came across as more gimmick than a practical application. 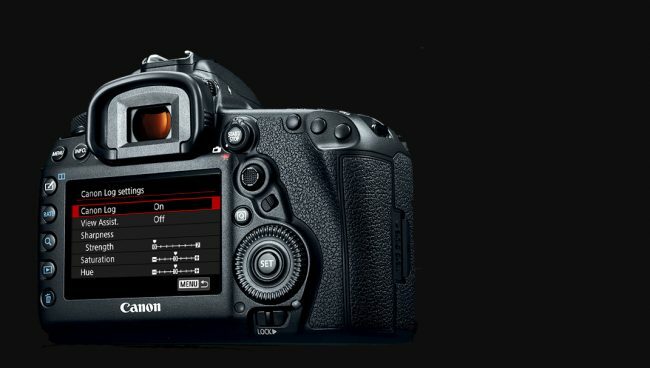 With some Canon camcorders offering 4:2:2 10-bit and 4:4:4 12-bit recording in camera, the video capabilities of the Canon 5D IV are pale in comparison, even with this log upgrade. For web based platforms, the 5D IV might make an excellent “B” camera to the more rugged camcorders, especially when on a budget, but chances are you’ll be correcting to match the DSLR. Color correcting should be simple since the curves are based on the same proprietary technology but Canon may be pushing a little too hard for a Canon-centric ecosystem. At the 5D IV price point, there are more cost effective options to create beautifully, color corrected images. The biggest downfall here is the implementation of motion jpegs. Log is built upon a foundation of image quality and file size workability. There are few less efficient compression and sampling methods than the corpulent motion jpeg file format. As technology improves, other manufacturers are packaging their video streams in smaller file structures that result in a comparable deliverable. It seems like Canon is still trying to find their place in current digital video trends and may have, once again, missed the opportunity to recover their former enthusiasts, lost to manufacturers who appear to be more actively responsive to the needs and requests of their customers. I finally got around to taking home the SL to research Leica’s log profile. I wasn’t as impressed as I had hoped to be. I’m going to take it home a few more times and get a better feel for the camera before I start making any judgements. Thanks for the suggestion, but $ 150 just to work with Log files is a bit stiff. Especially since my main camera is unsupported (Sony RX10M3). I would also like to hear about Leica SL’s “L-Log.” They fixed some serious miscalibration for the in-camera 8-bit recording way back in firmware 1.2 (current is 3.0), and 10-bit external didn’t have that issue. General experience with the SL seems to be to underexpose by a stop in normal profile, and as much as 2 stops in L-Log. That works for me in-camera, but I haven’t shot with an external recorder. Why is it that one version of a “prosumer log profile” requires underexposure compared with shooting stills, while another (Sony’s) recommends overexposure, both by large amounts? I’ve definitely used iMovie for some turn and burn shoots. It’s a great resource. I shoot log as an alternative to raw for better budgeted projects. Fixing contrast and color in iMovie should make for a solid entry-level way to calibrate log footage. I figured as much. As someone who has never used Log, but who would like to try, what I’m looking for is a very basic introduction to the subject. I work mostly with iMovie, but also with Premiere Pro – I use the former as it’s dead simple and effective, and the latter to feed improved files to iMovie (color, contrast, horizon correction and shake reduction). Just waltzing with some Log files into PP doesn’t sound appealing, though, as the program is quite arcane and complex to use. So much depends on the user and platform that I tried to shy away from that point. It seemed like a bit of a slippery slope. However, I can poll my colleagues and friends in the industry and try to get a multi platform report of what it’s like to color correct with different software. Personally, I’m a fan of resolve but it has it’s shortcomings. Most of the techs at Lens Rentals are working with Adobe Products. Hi Ally, this article is very interesting, but I sorely missed some software recommendations (ideally tailored to each camera, but I know that’s asking for too much). What’s the easiest way to work with Log files? Is it possible to correct Sony S-Log 2 or 3 files with some ease? I got the impression that it’s very complicated. Hopefully questions like these can be covered in a future article. Leica and Fuji were on my list of manufacturers to test but I ended up having more content than expected from Canon, Sony, and Panasonic. If you give me a few weeks, I’ll take home a Leica SL and see how the results compare. Thanks for the article! Is there any chance you could comment on the Leica SL? I read there was a problem with L-Log in the beginning, but some firmware update was supposed to address that.